You don’t have to worry anymore about getting rid of pesky pests with harmful toxic chemicals as there are natural ways of doing so. So if bugs give you the creeps then you might want to start using these natural bug repellents in your home today. This is a natural bug repellent it is also great for your outdoor furniture, such as your patio rocking chair or even for the patio and decking itself. Cedar is less likely to rot and that makes it ideal. Use cedar also for your cupboards, dressers and even hangers. You can also check the perimeter of your home and seal up portions where bugs and spiders can pass through. Most bugs and that includes spiders do not like citrus. You can get rid of these bugs when you rub your window sills, baseboards and walls with the peel of citrus fruits such as lime, lemon and oranges. Get a spray bottle and pour peppermint essential oil in it. Spray this oil on spiders and other bugs and it will repel them and also leave your home with a great fragrance. Keeping your home clean is an effective way of getting rid of spiders and other bugs in your home. For your damp basements which provide a perfect habitat for creeping insects you can install a dehumidifier, you can also check to ensure that water isn’t getting into your basement. Use vinegar if peppermint oil is not available, just pour some vinegar into a spray bottle and spray the contents anywhere you see spiders or other bugs. 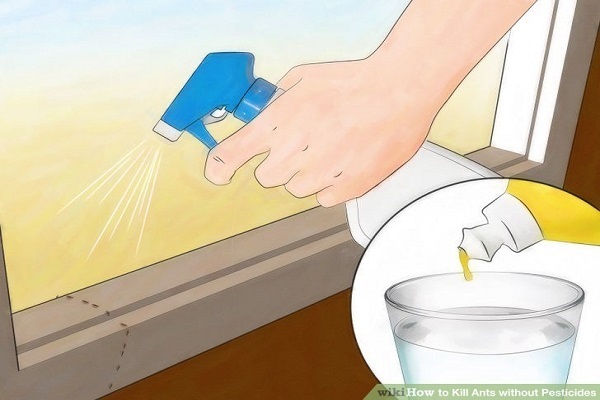 You can also spray the vinegar into crevices and cracks and anywhere you feel bugs can get into your home. Guess what, seeing spiders in your home means there is a food source which also means that there are other insects present. To drive out other bugs by using other essential oil on your spray bottle such as clove, lemon or orange. You can also sprinkle some pepper powder in places where bugs are present, garlic is also effective. Use slices of cucumber to drive out ants from your home, while crushed mint leaves drives out flying insects. Natural remedies are very effective in driving out insects from your home as it is chemical free.